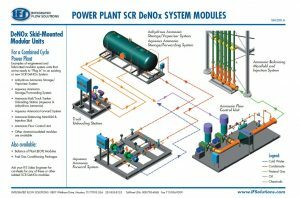 When a process system needs an original or replacement unit, the two main methods of construction today are “stick-built” (on-site/field construction) and “modularized fabrication” where outsourced shop-built units arrive on site ready to “plug into” the process system. Much like the new tankless water heater systems available today, this is a perfected a method that will save time and energy. The impact of the factors below need to be evaluated when comparing stick built to modularized fabrication construction. Lump Sum Bid – Contracts for modular constructed packaged units are in firm, lump sum prices – unlike those of a time-and-materials contract for stick-built, where there is no upper limit. Lump Sum quotes are up-front and all-inclusive, requiring only one purchase order. Budgeting is easier and cost overruns much less risky. Labor Cost – Shop costs are typically fixed. Site labor costs depend upon local availability of specific trades required to do the particular type of work. Additional cost variables include supervision labor costs, tools, safety watch, testing, etc. Productivity – Shops typically have standard operating procedures, quality assurance, and established techniques that add to the overall efficiency of the work. In addition, shop environments are not weather dependent, so loss of productivity and risk of not meeting the schedule due to wind, rain, snow, flooding, etc. are rare. Equipment – Shop environments typically include overhead bridge cranes, welding equipment, good lighting, etc. Stick-built jobs require advance planning to get this equipment on site. Materials – Shops have reliable and ready sources of the materials and components needed to build modules that meet industry and local standards and requirements. Some shops may even stock them. Stick-built has to source, order and wait for materials to arrive. Safety – Shop production environments utilize safety procedures as part of the regular work process. Safety training is a part of everyday work in a shop environment. Site built construction may require special and frequent training of temporary employees who are not as familiar with a specific type of work site and safety procedures. Schedule – With modular construction, the shop can design, engineer and build a unit while site-prep construction and permitting is done simultaneously at the plant site. Then, once prepping is completed, the shop can ship and the unit can be installed without delay. This is all possible if the shop has a well-planned process that is monitored and tracked by a computer-based scheduling system. Thus, the modularization process limits on-site construction only to prepping the site for the module installation. With stick-built jobb, the site-prep construction has to be completed before the new unit is built on site. 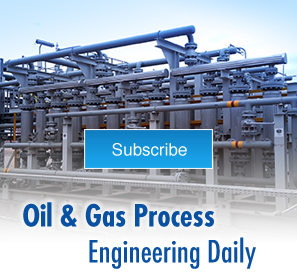 Plant Site Interruption – When a new process unit is built alongside of an existing operating manufacturing unit, there are many hazards and safety risks associated with the field construction activities due to contract construction workers on site. Modular construction minimizes these potential hazards and production interruptions. Also, modular systems are tested at the shop under duplicated plant site conditions. They arrive at the plant ready to “plug in” and start working. Single Source Responsibility – Modular construction reduces the burden on the plant’s project management resources. For more information on “Why Modular,” see Why buy a Modular System? Cost, Quality, Reliability, Ready to “Plug in” & Single Source.